There are a variety of ways of making money with your writing on the Internet. You can write articles and make money by submitting them to upfront pay writing sites providing your articles are accepted by these sites. Generally, you can write on a wide variety of topics for some content publishing sites, but some sites ask for submitting articles on only a few topics. Businesses, webmasters, and people in general need a constant stream of fresh content to promote their products, services, brands, company information, or communicate their desired messages to their targeted audience and they need freelance writers to write the content on behalf of them. 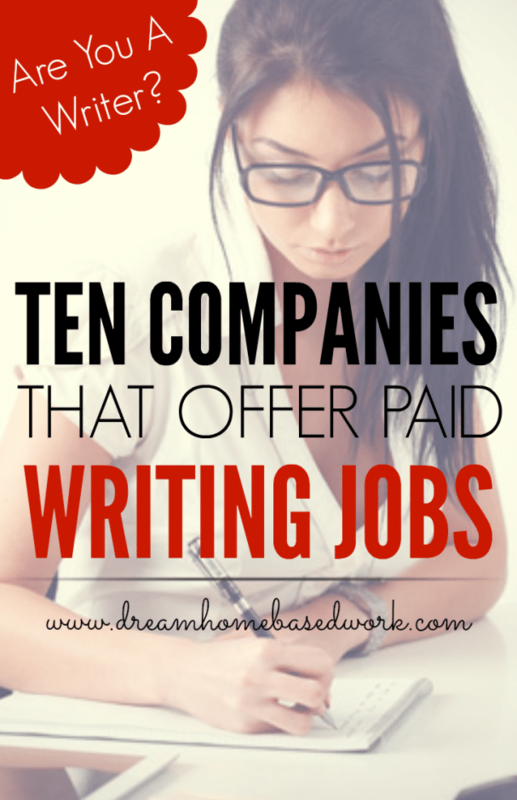 They usually post their writing jobs on various different writing job and online bidding sites. There are some writing job sites where clients post writing jobs and freelance writers pick up those jobs directly from these sites’ job boards. If you want to start earning money online immediately, here are 10 sites that will pay you to write articles, blog posts, and website content, product and service review, etc. Demand Media Studios is among the top upfront pay writing websites, offering thousands of available online assignments. You have to create an account first and then apply for as many roles as you qualify for. Payments are made through only PayPal. Textbroker is an online writing site that pays up front for your article and you earn a fixed amount of money for every article you write for any client. Writers with higher rating earn more money for every article than writers with lower rating. The minimum payout is $10, paid once a week via PayPal. SheBudgets pays you for your writing contributions which are subject to editor approval. You need to submit a contributor application or email them to apply for a writer position. WritersDomain – To apply for a writer position, you have to register, submit a sample, and take a grammar test. Once accepted as a writer, you can write either Standard or Premium keyword-based articles which will be reviewed by the site, and if your work is approved you will get paid. You will be paid on the 5th of the month or whenever you earn at least $100; whichever comes first. Content Runner – Create an account, browse open orders from clients, and submit your work to get paid. You can also post your writing pieces to the marketplace so that interested buyers can purchase your work. Love To Know – You can write on a wide variety of topics. You have to fill out an online application for writing position with the site. If you are accepted as a writer, you can write on various different topics and get paid for your efforts. Break Studios – Break Studios is an upfront pay content based website. You have to fill out an Internet application and attach samples to apply for a writer for this website. eCopywriters – Writing projects or jobs are directly assigned to freelance writers by admin. The jobs must be submitted within a stipulated amount of time. You will be contacted by the admin when a job opportunity comes up. Content Writers – You will be notified by email when new jobs become available, matching your credentials, skills, and experience. You will be given the deadline and any other details by the client. Wise Bread – You can write on different topics related to personal finance and frugal living. To apply, you must email [email protected] with three sample posts as well as five specific ideas for future posts including the outline of the posts. If your application is approved, you can get paid for every post you write for them. You can make a very good living as a freelance writer. If you have a go with words, a strong command of the English language, and can do your research online, writing for businesses and individuals through various different writing sites listed above is one of the easiest ways to make money online. Writing online is one of the easiest and quickest ways to earn money online. Great post Lashay – Constant Content is another great site for finding freelance writing jobs. They have a catalog where you can list pre-written content for sale. Their are also a bunch of public opportunities that writers can apply for. Thanks!